Communion with nature in Australia's former pristine ecosystem, now known as Gold Coast. Several hundreds of thousands of vacationers can come here each year and take three showers a day in air conditioned condos. Please do not get me wrong. 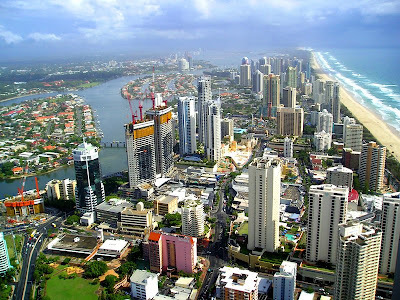 Brisbane is a splendid city with wonderful public transportation, universities, and restaurants. In the 39-floor condo building, where we have stayed, all elevators are globally optimized to minimize electricity use, and all lights along the corridors are on motion sensors. The windows are deeply tinted and open widely enough to provide a strong breeze through the rooms. There is only one small air conditioner in the bedroom. All very sensible solutions, including the incredible density of population. 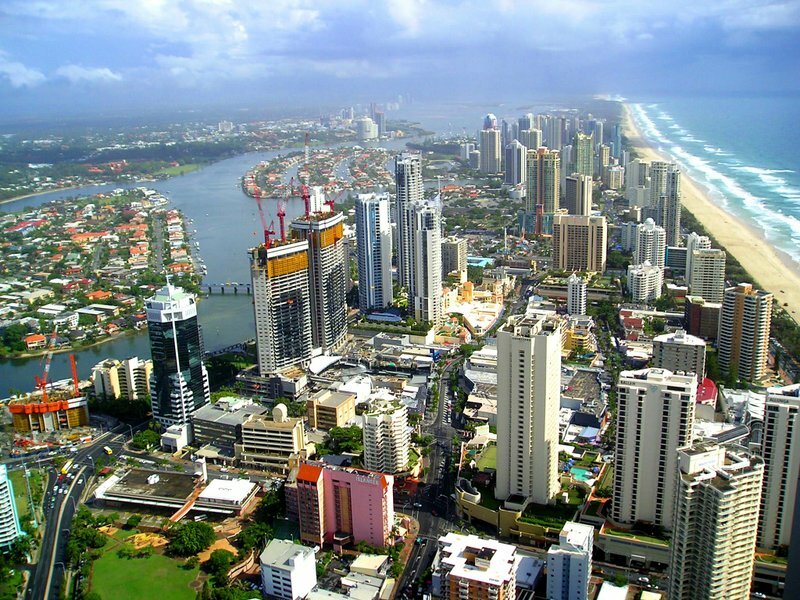 Thirteen out of 22 million Australians live along the east coast beaches in three large metropolitan areas. Perth and Adelaide are home to another 3 million people and the rest of the vast parched continent is virtually empty. Yesterday, we visited the Lone Pine Koala Sanctuary near Brisbane. They boast over 100 cuddly koalas, do research to prevent the spread of diseases that decimate them, and breed new babies. Eighty percent (sic!) 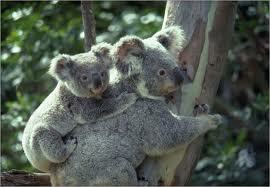 of the koala habitat has been destroyed along the east coast by converting the eucalyptus groves into cities and fields. The slow koalas that sleep up to 20 hours a day to conserve energy were almost exterminated by people, who used the sleepy marsupials as shooting targets and their skins as wrapping paper. Other natives have not fared well too. The Tasmanian devil is dying from a viral disease that resembles cancer and is inevitably lethal. There are intensive captive breeding programs that will replace the wild species should it become extinct. We also saw three dark-skin Aborigines. The first one, a young slim boy, stood stark naked at an entrance to a shopping mall. He was completely motionless in the evening light, like a dark statue, until he was picked up by three policemen. The second one was in his twenties and completely drugged out. We saw the third Aborigine on the street in a hip touristy district on the west side of Brisbane. He was an old man with a tragic frozen face and black burning eyes staring into emptiness, his hands widely open to the sides in a Christ-like gesture. He was being led away by two gentle police women. Those eyes...I forgot to pull my camera and capture their anguished deep darkness. 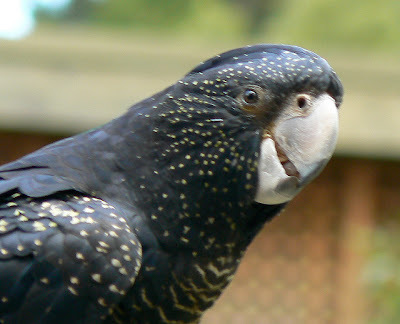 The man's eyes were so similar to the eyes of the red tailed black cockatoo, who came to me on the other side of a fine wire mesh that made his cage. He sat next to my face looking intently into my eyes and replying to the calls of another black cockatoo two cages away. "Let me out," his eyes said. I am bored and lonely and sad. So were the three Aborigines we saw.